The good news about injustice is that God is against it. God is in the business of using the unlikely to accomplish justice and mercy. 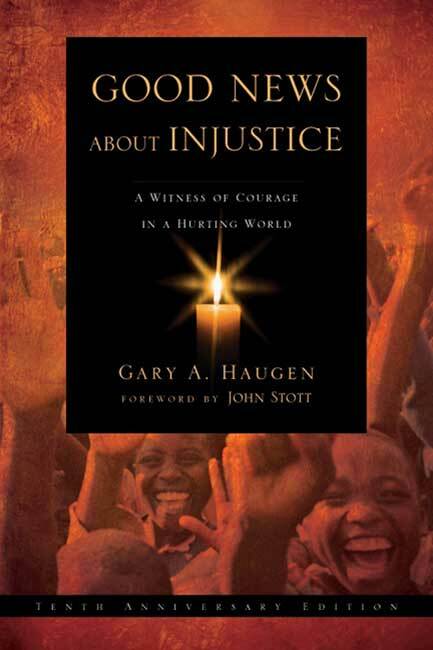 In this tenth-anniversary edition of Gary Haugen’s challenging and encouraging book he offers stories of courageous Christians who have stood up for justice in the face of human trafficking, forced prostitution, racial and religious persecution, and torture. This expanded edition brings up to date his work in calling for the body of Christ to act. Throughout, he provides concrete guidance on how ordinary Christians can rise up to seek justice throughout the world.